Google Drive is becoming more and more popular as online storage is the safest way to store files and images at no cost. Documents, workbooks, excel files, photos everything can be saved on Google drive. Now you do not need to go to Drive first then searching your files. You can directly click Drive in Omnibox (Address bar) and click spacebar, it will go into drive automatically and write your file name or guess to start a search. It will automatically search relevant files and display. It appears a small trick but it is surely a time-saving trick. 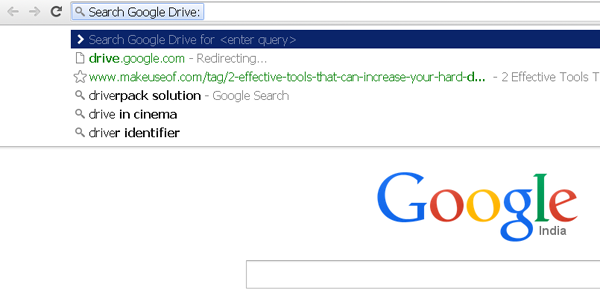 Right Click on the Omnibox (Address bar/ URL bar) in Google Chrome. Select "Edit Search Engines" in a drop down menu. Scroll to bottom of available search engines list. 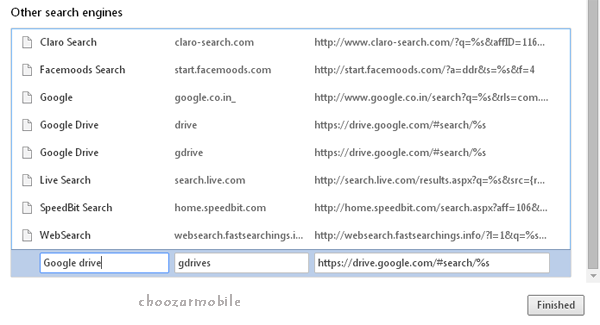 Add Google Drive as an engine name, in next tab insert, short key say "drive" (this is required for user input) and then enter the url: https://drive.google.com/#search/%s. Type "drive" (a short key used in above method) and press space bar. Then type in the file name or words you wish to search. Enter it and drive will return the results. If you are not logged in, it will ask you to log in. As Drive is getting more and more attention as it is a most secured method to save important files online, using it wisely is much appreciated.